From Cary Solomon and Chuck Konzelman, the writers/co-producers of God’s Not Dead, comes a film that speaks to one of the most polarizing topics of our day. 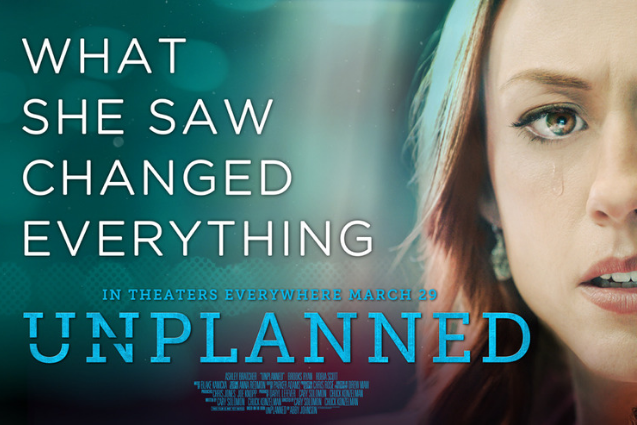 Unplanned brings us an eye-opening look inside the abortion industry from a woman who was once its most passionate advocate. After reading Abby Johnson’s best-selling book of the same title, Cary and Chuck were moved to bring this inspiring true story to the big screen, giving voice to a woman who has been on both sides of the abortion conversation. The Dramatic True Story of a Former Planned Parenthood Leader's Eye-Opening Journey across the Life Line Abby Johnson quit her job in October 2009. That simple act became a national news story because Abby was the director of a Planned Parenthood clinic in Texas who, after participating in an actual abortion procedure for the first time, walked down the street to join the Coalition for Life. Unplanned is a heart-stopping personal drama of life-and-death encounters, a courtroom battle, and spiritual transformation that speaks hope and compassion into the political controversy that surrounds this issue. Telling Abby’s story from both sides of the abortion clinic property line, this book is a must-read for anyone who cares about the life versus rights debate and helping women who face crisis pregnancies.